Oil prices continue to crash. 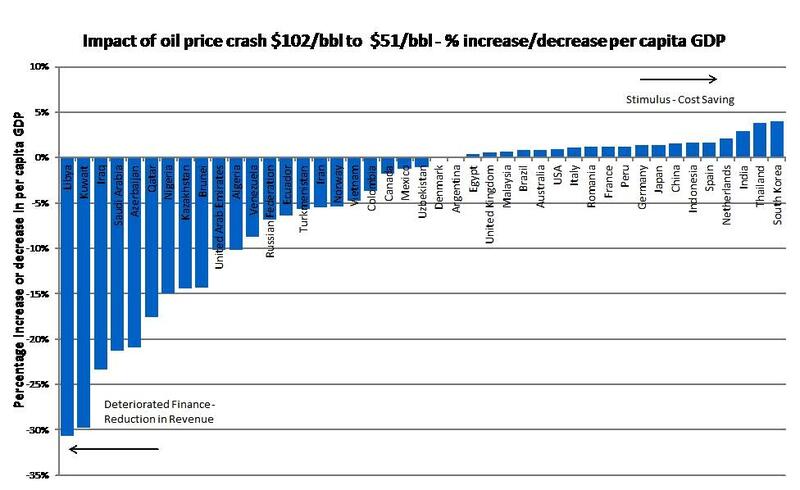 Oil prices have dropped from $102/bbl in August to close to half - which is $52/bbl by 31 Dec 2014. As regular visitors to PropertyInvesting.net website will understand, oil prices have a huge impact on the global economy and hence property prices. When oil prices rise in all oil importing nations, it acts like a huge drain or tax on incomes, and less money is available for normal economic growth, consumer spending and property purchases. 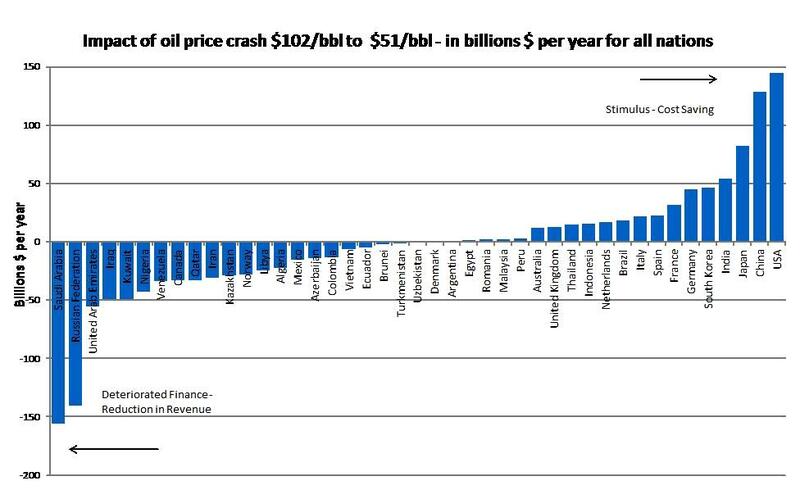 High oil prices in most developed nations lead to "stagflation". Meanwhile when oil prices drop, it's like a huge tax giveaway which stimulates consumer spe nding, keeps a lid on general inflation (of fuel and food) and this then feeds rapidly through to boosting property prices. For property investors, the trick at the moment is to avoid large oil producing areas or countries that will have a dramatically reduced revenue stream for the next year or so. Property prices in such areas should come under pressure and likely drop. Property investors should instead look at snapping up bargain in areas that have previously suffered from high oil prices like north-eastern parts of USA and California and South Korea. 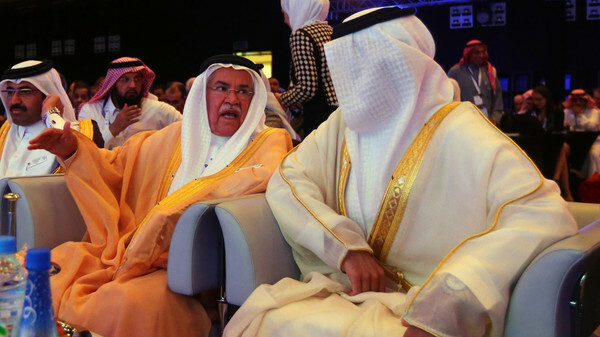 What is shows for example is that each Saudi citizen would long term see a -21% loss in their living standard. Each Libyan would see a massive -31% loss in living standards. However, each Chinese would see a +2% increase (like a 2% tax give away) and each South Korean would see a +4% increase. Another example is Russia, which will see per capita revenue drop by a large -6% because the economy is so reliant on oil revenues. This is therefore modelled to undoubtedly lead to a recession in Russia in 2015. Property prices will therefore drop sharply in dollar terms (even in the last few months, they have dropped by an equivalent 40% in dollar terms because the Rouble currency has crashed so sharply.